AHOY THERE ME MATIES! 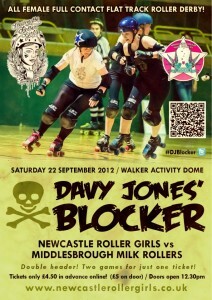 Newcastle Roller Girls proudly invite you to the most exciting event of the year! 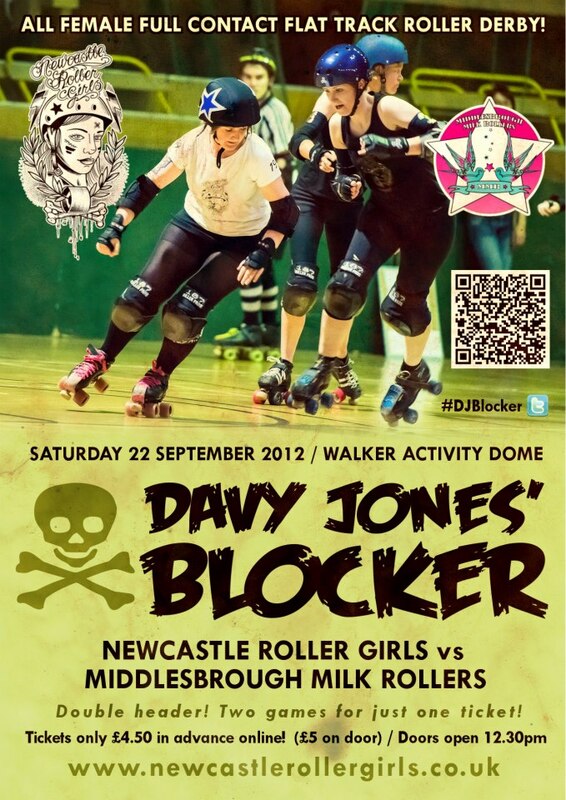 The 22nd September will see the mighty Newcastle Roller Girls take on the brave buccaneers Middlesbrough Milk Rollers, with two friendly local teams this will surely prove to be the event of the year! Forget football’s Newcastle V Sunderland, this bout will have the north split in two! Tickets can be bought in advance (with a little cheeky discount) through PayPal using the link below or at the door on the day, doors open at 12:30, make sure you get there early for those sought after suicide seats! 2:30pm – Canny Belters =v= Middlesbrough Milk Rollers A team. Online ticket sales have now closed. Tickets only available on the door.